We, the powerful brains behind P I Infosoft Pvt Ltd became a team and started operating in the year 2008. The team is the set of skilled professionals, experienced in the technology and travel extensively. We are the autonomous subsidiary of Prakriti Inbound Pvt. Ltd (t2india.com), which is an IATA approved travel agency; they are providing us with the sea knowledge of the travel domain! 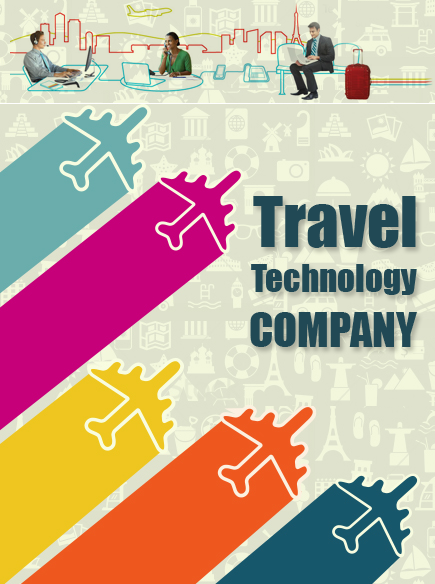 We found travel industry is facing a fall back due to lack of technology involved in it. There is a need of pushing the bars behind the clicks and updating the tour and travel online marketing. We are imminent bunch holding together the online travel technology company, supporting you with travel management online. We specialize in developing resourceful travel software and websites well within your budget. Also, offer multichannel marketing for tour and travel companies. Our strength lies in the multilingual systems, creating online travel portals and being the travel API Integration experts, we deliver something beyond just a utility. Our travel booking and reservation technology software is updated with the transformation of the travel technology market. Scoring from dynamic packaging, GDS integration, middleware application to the white label travel solutions, we are the one-stop solution for the travel software systems. From an intensive integration of B2B, B2E and B2C models, we also deliver the B2B2C model for the travel portal. Managing Prakriti group’s complete supply chain is a backbone for our knowledge in travel systems, as, with it, we can assist you with suppliers as well. Our endeavour is to give away packaged innovative ideas from picking the best hotel and flight booking software to integrating Travel Boutique Online (TBO), Galileo, Cleartrip or API provider of your choice, we shall become your best online travel management partners. Our vision statement is a replication of the client's vision; we see through the eyes of the patron to make sure we give away the best-expected results. P I Infosoft believes in the statement of mission- "Simplify travel by bringing technology for all." Our aim is to bring revolutionary changes in the travel technology, by introducing easy ways of integrating travel management with the online world. We offer customised and supreme quality services. Our priority is to deliver within the expected time, in a proper way, with utter perfection!